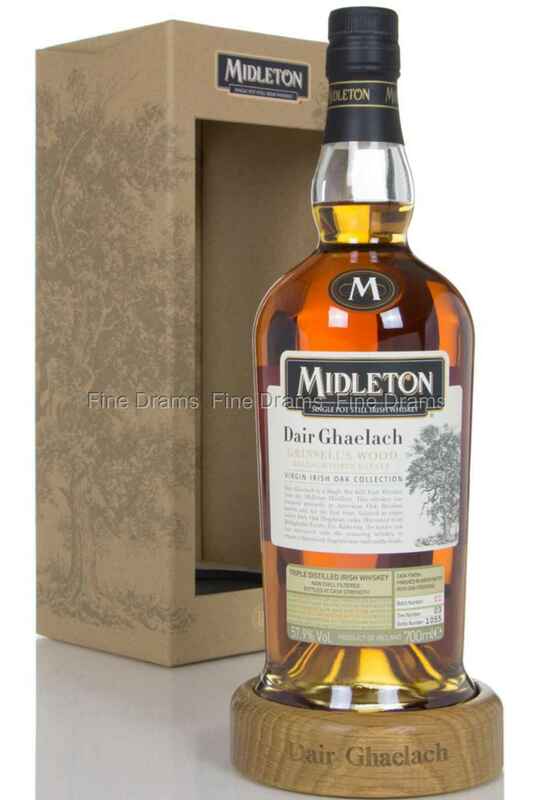 Midleton is probably Ireland’s best whiskey distillery, producing an enormous variety and quantity of whiskey styles. The Dair Ghaelach range is incredibly popular, and widely regarded as some of the very finest Irish whiskey ever to be produced. Dair Ghaelach translates as “Irish Oak”, highlighting the fascinating aspect of this whiskey, it is partially aged in Irish oak casks! This edition contains single pot still whiskeys of between 15 and 22 years of age, drawn from ex-bourbon casks, before being married together and transferred to virgin Irish oak for finishing. Midleton demonstrate their commitment to sustainability by using oak grown locally at Ballaghtobin Estate. This really is a classic single-pot Irish whiskey. The nose brings incredibly delicate toffee and caramel notes, with a little crumbling sugar and fresh, grassy aromas. These give way to dried fruit notes, with some dehydrated strawberry and crisp cereal. The palate is spicy, with thick molasses, tropical fruits, cereals and that same sweet pot still grassiness. Oak intensifies after a while, showing of the unique qualities of this dram. The finish is oaky, bittersweet and drying, and lingers long after the whiskey has departed. Bottled at 57.9%, and without chill filtration or artificial colouring, this is a cracking Irish dram.